A pinched nerve is a general term that refers to pain or a change in sensation (numbness, tingling, heat or cold sensation) somewhere along the course of the irritated nerve or where the irritated nerve begins or ends. For instance, a pinched nerve in the neck might cause pain in the neck alone or the patient might also experience numbness in the hand on the same side as the neck pain. Another common example is sciatica, which in some cases can be attributed to a pinched nerve in the lower back. The patient may only experience symptoms in the leg from a nerve that is being irritated in the lower back. How exactly does a nerve get pinched? That’s a complicated question that can be at least partially addressed by thinking of what happens when you hit your funny bone (mild trauma to the Ulnar nerve) or put too much pressure on a limb and it falls asleep. In both cases, a nerve was aggravated or ‘pinched’ and a sensation of the event that caused the aggravation was felt. In the spine, this can occur when there is swelling near where a nerve exits between two vertebras (the bones of the spine.) This can cause the nerve to become irritated and result in symptoms of pain, numbness, tingling, etc., as was previously mentioned. The causes for the swelling can be a combination of many things. If the disc in between the vertebra gets thinner due to over-work, damage from trauma, aging, etc., there is less room for the nerve. Subluxation (misalignment) of the vertebra reduces this space. Degenerative arthritis in the bones and joints of the spine can cause inflammation and narrow the passage for a nerve. What about problems with organs, like poor digestion? Well, in short, nerves do go to every organ in the body. Also, studies have demonstrated that if an organ is in trouble there is a reflex to the nerves of the spine. This is closely related to what you may have heard of called referred pain. For instance, someone with a gallbladder problem often complains of pain in the back, usually in the right upper back or between the shoulder blades. If a nerve from the mid-back area is being pinched, the nerve supply to everywhere that nerve goes to, including the organ it supplies, could experience problems. In chiropractic care, a pinched nerve most often refers to misalignment or subluxation of the spine which causes nerve pressure or nerve irritation. This may result in severe back and neck pain as well as the nerves being incapable of conveying messages to the vital body organs from the brain. This is mainly caused by improper twisting and posture of one’s vertebral column as a result of sudden turns. Also, it may be due to injuries. Pinched nerve signs include pain, numbness of feet and hands, soreness, a tingling feeling and a burning sensation in the neck, back, arms, shoulders, hands, feet or legs. Chiropractic care is the most effective treatment as it concentrates on spinal adjustments in order to promote healing. Although traditional medical care usually treats the part where the pain is apparent, chiropractic examines the entire body. The approach is particularly useful with pinched nerves as the pain could be felt in the leg while the injury originates from the back. Also, chiropractic care considers the overall well-being of an individual and addresses any issue that could have caused the pinched nerve. 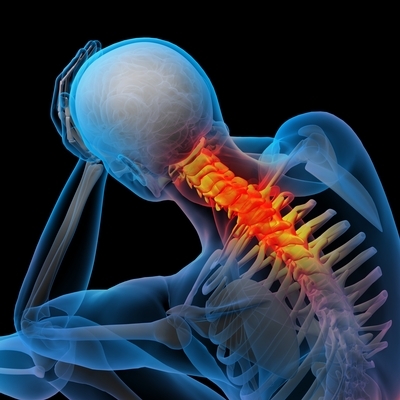 A common cause of neck & back pain, the term pinched nerve means that a nerve has been compressed, constricted or stretched in some way – causing numbness, tingling, burning sensations and/or a pain radiating outward from the injured area. Nerves originating in the neck & back may become pinched and trigger pain, numbness and tingling into the shoulder and arm. Often times bone spurs or degenerated discs affect the canal space between vertebrae – through which the nerve passes. And occasionally a compressed nerve in the neck & back is the result of a trauma to the neck & back may cause the vertebral joint to become inflamed and the muscles of the back to tighten. Treatment concentrates on reducing the compression and helps loosen muscles, in order to reduce inflammation and corresponding pain. Chiropractic treatment re-aligns the spinal bones into proper position eliminating nerve pressure and irritation. Dr. Davis extensive training in chiropractic applied kinesiology affords you a great opportunity to relieve the pain and symptoms associated with pinched nerves at the true level of cause. He utilizes several different methods of adjusting to replace malpositioned bones and joints that contribute to pinched nerves, ranging from complete non-force methods to conventional adjusting. His success rate with pinch nerve relief is outstanding! Don’t wait another minute if you or a loved one is suffering. Davis Holistic Chiropractic Center is the right place for help.